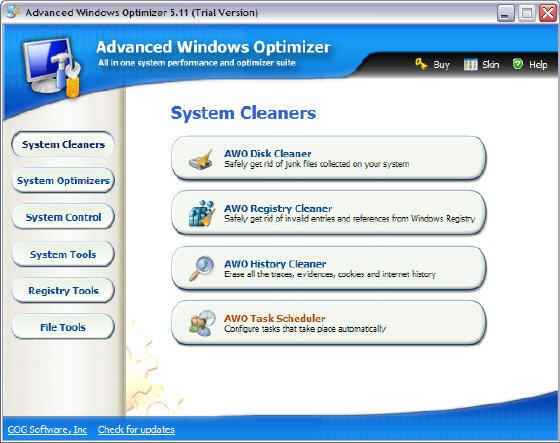 WinUtilities all in one cleaners and optimizers suite is an award winning collection of tools to optimize and speedup your system performance. 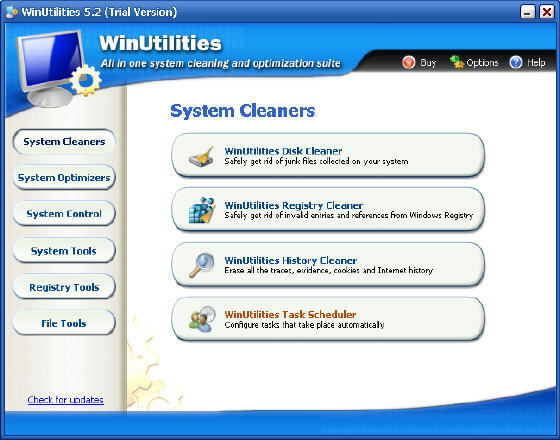 WinUtilities contains utilities to clean registry, temporary files on your disks, erase your application and internet browser history, cache, cookies and more. You can control startup programs that load automatically with windows, find duplicate files, fix broken shortcuts and uninstall software. Magic Utilities is a cute program designed to make your computer clean and more stable. These utilities include Uninstaller Plus, StartUp Organizer, and Process Killer. Magic Utilities enables you to easily and safely uninstall programs, inspect and manage the programs that automatically start when your turn on or logon to your computer, and lists and controls all currently running processes (system and hidden processes are also shown). System Gate instantly blocks unwanted programs or processes (Messengers, Internet, Spyware, games) from running while your children are using the computer. You can easelly create software blacklist by adding programs you want to stop. Web Camera Security System turns your Web Cam into a Security Camera that the camera will detect the first thing that moves and start recording. It can record AVI video automatically when motion detected.It supports motion detection tolerance setting and dimly lit capturing. It can work on when you leave the room. Spyware Doctor is a top-rated malware & spyware removal utility that detects, removes and protects your PC from thousands of potential spyware, adware, trojans, keyloggers, spybots and tracking threats. Spyware Doctor offers intelligent and deep scanning options allowing you to thoroughly check your PC for malware infections, and it supports real-time protecting, including defense against known phishing attacks, popup blocking and malicious site guard. Do you feel that your system is sluggish and unstable? Most PC users have performance and stability troubles. And Most of those problems are caused by: low memory, unnecessary background processes, junk registry items and false system settings that are not optimized.Intelli HyperSpeed 2005 is an absolutely different optimizer form others. It ensures Windows 2000/XP system maintains best performance possible. A useful autorun system optimizer which can speed up the whole boot process and finally resulting in a more stable system.Did you ever wonder why it takes so long until your computer starts up? Did you ever wonder why so many programs load when you turn your pc on? Did you ever wonder why everything is so slow or why you leak of available memory? Get rid of these useless programs. 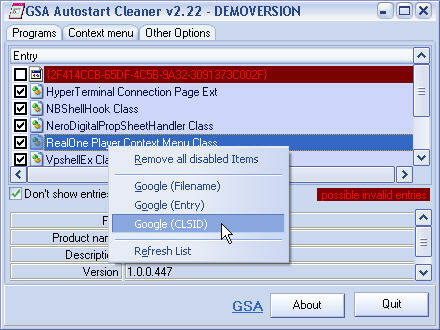 With GSA Autostart Cleaner you can. The rings of Saturn have puzzled astronomers ever since they were discovered by Galileo in 1610, during the first telescopic observations of the night sky. Have you ever dreamed of getting a chance to see them with your own eyes? This screensaver is an outstanding 3D model of the solar system. Every planet is there along with its satellites and even a small info graph with basic facts. All the proportions and trajectories are right. WinTasks 5.0 Professional provides you with a wealth of information and a powerful set of tools that will help you enhance the protection against system security threats while dramatically increasing computer performance.The award-winning WinTasks 5.0 Professional is the most reliable and intuitive software that enables you to fully take charge of your computer. AltDataRecovery is easy-to-use and powerful data recovery software for Microsoft Windows family operating systems. It contains File Recovery, UnFormat, Raw Recovery and Partiton Recovery which can recover deleted files, lost data and formatted partition data from hard drivedigital camera storage card, USB Driveand other storage devices. XP Disk Cleaner is a powerful tool for cleaning disks from information that clogs your system and reduces the performance of your computer. With the help of this tool you can search and delete temporary files and folders and other applications, search for invalid links to documents that don't exist, uninstall software, disable/enable unused fonts, delete Cookies, and search and remove duplicate files. Easily clean and remove recent file histories, chat logs, caches, cookies, web site histories, and more for mac users. Allow you to recover lost, deleted, corrupted or even formatted files or Jpeg, Gif, Bmp and Tiff images from your camera, pc or memory card( CF cards, SD cards, SmartMedia, Sony Memorystick, Microdrive, xD Picture Card, Multimedia MMC Card...).The Photo Recovery Wizard is an easy to use, low cost application that allows you to recover lost, deleted, corrupted or even formatted files from your camera, pc or memory card. Photo Recovery Genius is a risk-free and READ ONLY digital photo recovery software. Modern digital cameras and flash cards allow rewriting photo and video files many times and sometimes important files can be deleted or lost by mistake. The program will help you to restore deleted or unreadable photos and videos at once. DVD Copy for Mac is stable, fast, easy-to-use Mac OS X DVD Copy software smartly designed for Mac users. It can copy DVD movie entirely in 1:1 ratio to copy DVD5 to DVD5, DVD9 to DVD9, DVD5 to DVD9 and compress DVD-9 (dual-layer DVD) to one DVD-5 disc. It can copy DVD movie to ISO file, DVD folder and back up DVD to hard disc drive, and also burn ISO file and DVD folder to DVDs. There are additional features in Xilisoft DVD Copy for Mac below. DVD Burning Xpress is a DVD authoring tool combined with video editing and DVD burning. It burns your home movies onto DVD in a cheapest and easiest way. DVD Burning Xpress transform raw videos into professional-looking movies and burn them on CD or DVD disc. With DVD Burning Xpress, you can create, edit your home movies right on your computer and turn your digital media into memorable projects on CD or DVD to share with family and friends. ABC Amber WordPerfect Converter is an advanced utility which converts your WPD (WordPerfect) files to any format you wish (PDF, HTML, CHM, RTF, HLP, DOC, TXT, and many more) easily and quickly. ABC Amber WordPerfect Converter supports a batch conversion, a run from command line, more than 50 languages. Batch conversion ability allows you to convert a unlimited number of WPD files at a time. Power Data Recovery recover data after accidental deletion or an accidental format , after FAT corruption,repartition (fdisk), an MBR corruption. It recover data from a hard drive, camera card, USB drive, Zip, floppy disk. and recover data for any error except physical damage. 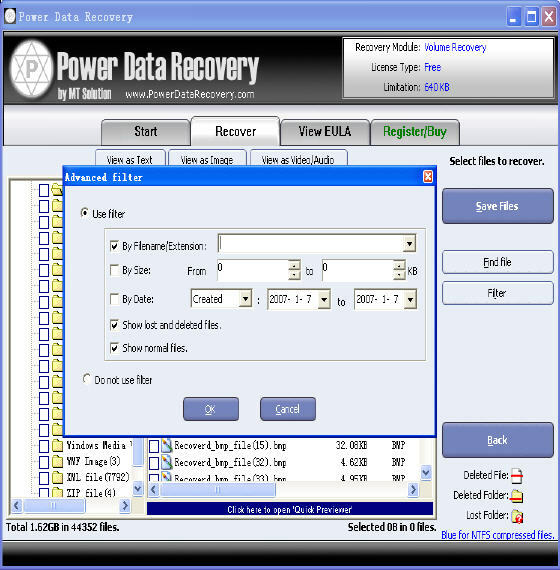 Power Data Recovery is a read-only File Recovery Software and Data Recovery Software. This data recovery software helps you recover all your important data lost. DOC Regenerator is new solution for recovery of lost, damaged, deleted, overwritten Microsoft Word documents. It efficiently recovers a separate lost document from an existing partition as well as lost documents from corrupted, deleted partitions, or reformatted disks. The program supports Microsoft Word 6.0/95/97/2000/XP/2003 document formats. Password protected documents are also supported. Create comprehensive narrative GEDCOM reports and books with fully cross-referenced texts, notes, media, and family tree diagrams. 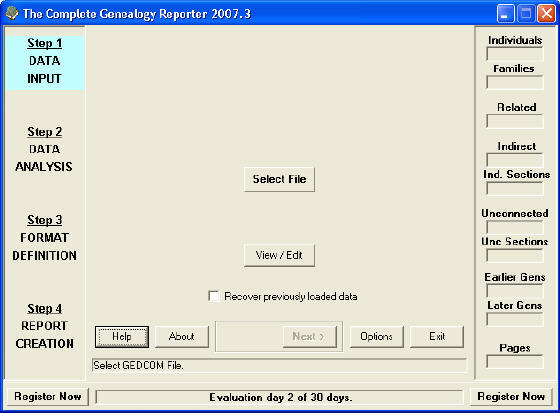 The Complete Genealogy Reporter can incorporate all cousins, aunts, uncles, and indirect relationships via marriage, for any individual in your GEDCOM file. The user interface is a simple four-step wizard-style process which reads a GEDCOM file and generates a report to a PDF file, a printer, or a text file (proof-reading draft). Power CD DVD Recovery is an easy-to-use, windows based CD data recovery software and DVD data recovery software. This CD/DVD data recovery software could recover lost and deleted files from damaged, scratched or defective CD and DVD discs. It can recover files recorded by common CD/DVD writing software. It supports data recovery from all CD and DVD disc types (CD-ROM, CD-R, CD-RW, DVD-ROM, DVD-R, and DVD-RW), and from quick formatted RW discs. 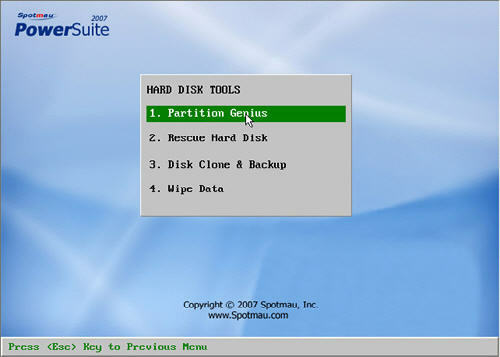 This is a powerful tool which allows you to manage your hard disk partitions, such as create partitions, delete partitions, hide partitions, format partitions, resize partitions and rebuild the lost partition table. In addition, it provides some other useful functions, such as backup partition table, recover MBR (Master Boot Record). Registry Medic is a beautiful and powerful registry cleaning tool. It can help you clean and modify your registry and check on your registry's health, and solve any problems if necessary. It offers total control of your registry!You can set system restore points to return your system to a set point in time, before damages or changes occur. View and restore deleted files and folders; recover data from formatted, reformatted, corrupted and damaged NTFS and FAT hard drives and partitions.Computer data recovery software is an advanced data recovery software for Computer data recovery security. And Data Recovery Wizard is just one of these programs, and it is the only computer data recovery software you will ever need. 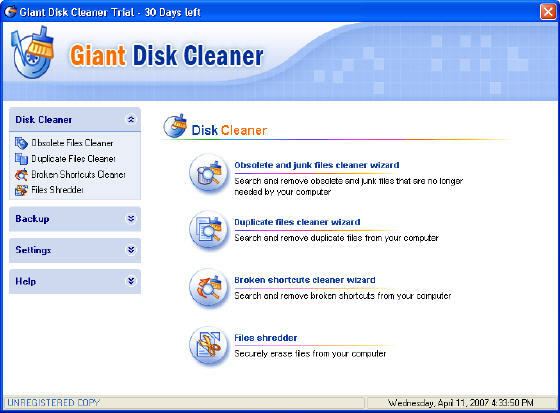 Giant Disk Cleaner is a robust program especially designed to clear unwanted and unnecessary files from your computer recovering valuable hard disk space and boosting your PC's performance. While some files are necessary for your system to run properly others are useless and take up valuable hard drive space, jeopardizing your computer��s performance. Blindwrite, your ultimate game copy software back up tool! BlindWrite extracts all the characteristics of your media to your harddrive to reproduce a working copy of your media.It allows you to protect your investments against damage caused by children, scratches or by frequent use. Your personal CD or DVD backups can even be run directly from your computer using a virtual drive (i.e. Daemon Tools). XP Startup Cleaner helps you to easily manage program execution at windows startup. It can be used to administer the programs executing on startup and the files to be loaded at start up.This software can easily add programs which one wishes to run once or every time the system starts. Programs added to the startup folder can be viewed or removed by any one but XP Startup Cleaner provides you tool by which you not only can add programs in the startup folder but also in the Windows Registry. 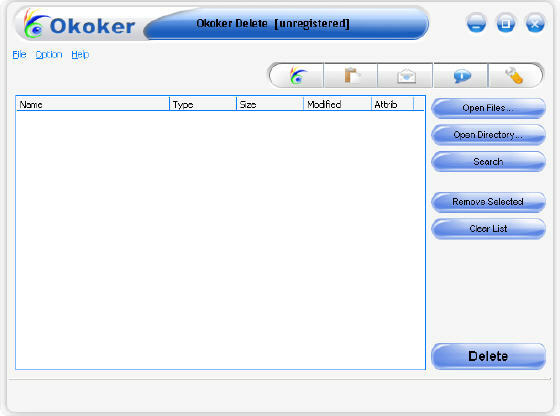 Okoker Delete is an advanced security application designed to help you permanently delete data from your PC by overwriting it several times with carefully selected patterns. It can erase selected folders and groups of files.You also can use Search Engineer to search all of files and folders you want to delete exactly. You only click one button. It help your PC to save some space of your disk. The interface is very vogue and easy to use. Slam-dunk the most challenging code or website edit tasks with TextPipe - a powerful text-processing utility that combines more than 100 conversion, translation and filtering operations on multiple text or binary files. Update text using search and replace, which supports perl pattern matching, sounds-like matching, edit-distance matching and search/replace lists. Convert files from foreign computer systems between mainframe fixed-length formats and DOS, Macintosh and Unix line-feed formats. With Argentum Backup, you can simply create a number of tasks with files on your computer, which you want to copy to the backup store. Each task has its own name and icon, and defines source locations for files and folders, and also how often these files are to be copied. Once your tasks are created, you can use Argentum Backup in a couple of ways, either automatically or manually. Keriver Image is an affordable and reliable drive imaging solution, which is only $20, including free updates and upgrades for two years. And now, as a favor, we will give you a 25% discount, so you only need to pay $15 for full registration! Keriver Image is a cloning or imaging utility to help you protect yourself from important data losses. It will provides the ability to backup the entire contents of a hard disk or partition. HanWJ Chinotes is used for editing plain text files,e.g., files that has "txt","gb" extensions. It is an editor specifically for Chinese editing. Chinotes has integrated HanWJ Chinese Input Method into itself. This makes inputing Chinese when using Chinotes very convenient, even without any Chinese platform installed on your PC. Chinotes can be used to do secure text replacement in multiple files. This package includes three tools: Data Transfer, Unformat, Undelete. It recover/transfer your important data when your Windows was crashed or the hard disk was formatted/damaged. It will help you transfer files to removable media/device, or to a second, undamaged internal hard disk. Text Copy Helper is a hip software tool that helps you to copy text from some window controls that do not support copy by CTRL+C or from the context menu. Simply drag the "FindTool" icon and hover it on the target text area, then you'll find the text will show in the software's edit control. CloneSensor is a software program for searching duplicate file. This software can quickly search for duplicate file and provides many ways to rename or batch rename filenames for organizing your collections better. CloneSensor can organize the collections of the files quickly and properly and get rid of duplicate files from millions of files, in order that every file is unique in content and identified easy. Easy PDF Publisher is a complete and efficient workspace to structure and merge several files into a single PDF document. The Professional version of Easy PDF Publisher lets you share all your projects with the others Easy PDF Publisher users, and generate publications templates. Produce in a few minutes a proposal, a meeting report, a contract, a study, etc..., from your Office documents to a PDF file. All In One Cleaner is is a suite of tools to clean your system, it includes Disk Cleaner, Registry Cleaner, History Cleaner, and Startup Cleaner. With All In One Cleaner, you can optimize your system, protect your privacy and security, and more. Keyboard Sounder - makes your keyboard never be silent !! !Play 3D sound effect when a keyboard button or mouse key is pressed. Features: support to play animation when the button is pressed. Multi schemes, built-in 6 sound schemes - Typewriter,Typewriter2, Fight, Gun, Abe, Mix. Backs up your iPod. It transfers your music to your hard disk for safe keeping. Drag and Drop Songs, Playlists or Video to your hard disk. 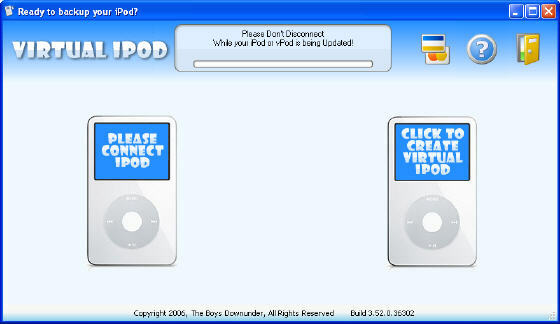 Restore your songs back to any iPod.It gives you the peace of mind that when you leave the house, no matter what happens to your iPod, your music is safely stored at home. 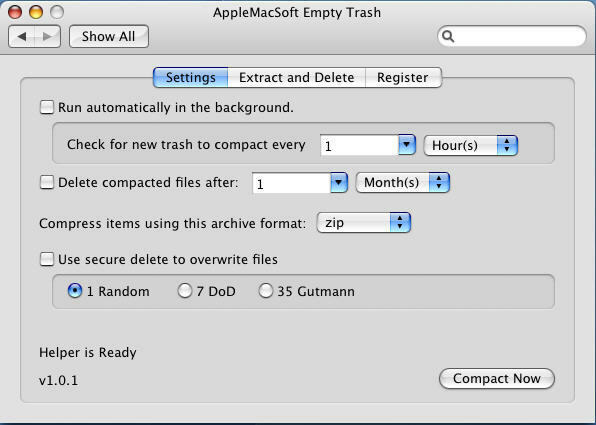 AppleMacSoft Empty Trash for Mac is a System Preference for Mac OS X 10.4 or higher versions which allow you to automatically compress and securely delete your Trash. Power Data Recovery recover data after accidental deletion or an accidental format , after FAT corruption,repartition (fdisk), an MBR corruption. It recover data from a hard drive, camera card, USB drive, Zip, floppy disk. and recover data for any error except physical damage.Power Data Recovery is a read-only File Recovery Software and Data Recovery Software. 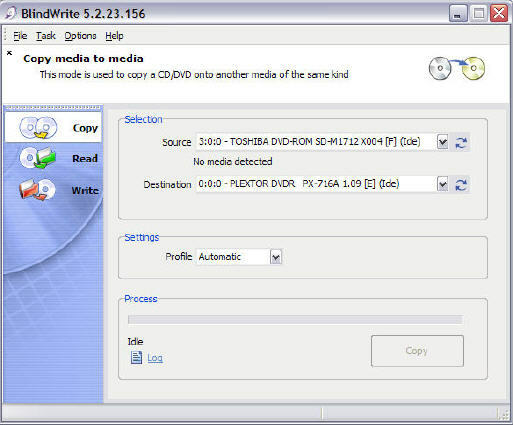 Copy DVD Gold is an easy-to-use but powerful DVD backup software that designed to backup your existing DVD movies to DVD discs or ISO files in your computer. Copy DVD Gold makes DVD-to-DVD backup become very easy. With a DVD burner, you will backup all your DVD movies in perfect 1:1 mode with all the special features, menus, subtitles, and languages included. The PDF to JPG converter is a perfect tool for implementing PDF documents data archives. Original document layout is fully preserved. Original PDF formatting and interrelation of text and graphical elements on each page. Advanced PDF to JPG converter is the simplest way to do so is to use our PDF to JPG converter that allows you convert PDF files to any image format you prefer: jpg, bmp, gif, png. Anti-Spyware Spy Noose is a comprehensive tool to clean and remove spywares from your system. It prevents the attacks through its Active Protection shields and provide protection against Spyware, Adwares, Worms, Web Bugs, Trojans and backdoors etc. The continous research makes Anti Spyware Spy Noose the industry leading Anti Spyware.